We had a gay door that would not close or open. I emailed Precision on Thursday evening. In less than an hour we had an appointment set for Friday morning between 8 and 10. Kevin texted that he was on his way at 8:25 and here by 8:45. We could not fix an opener that was 21 years old but a new opener was in and Kevin was gone by 9:52 am. I was able to go to work. Customer Service is fantastic!! I can’t say anything else. Customer Service. Zach did a great job replacing a broken spring. He was very professional and friendly. Would highly recommend him. The service was very personal and efficient! I called on a Saturday morning and they scheduled and completed the door repair Monday morning by 10:00 am. Zach, technician who serviced our door was very personal, taking time to explain the process, the warranty and costs. He was polite and efficient with his overall work, making sure we were satisfied before he left the job. Zack did an outstanding job in explaining what was wrong with my old opener. Then explained my option of fixing the old one or replacing it with a new one. I choice to get a new one. Install was quick and Zack went over all the devices on how to operate the new opener. Thank you! We are glad that your new opener works great and that your service worth 5 stars. Thank you for the great review. Our spring broke on our garage door. My husband wanted fast service. We have items of value in our garage, so leaving the door up was not an option. My husband knew I would not be able to manually open and close the garage door. They had a tech at our home quickly. I called for a garage door "check-up" and was truly surprised that they could send a technician to my home within the hour. 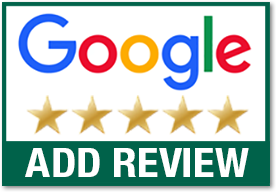 Stellar customer service was the reason why I purchased my garage door from Precision and they once again demonstrated that customer service remains their top priority. Once the appointment had been made, they sent me a photograph of the responding technician, who also called me and provided an exact time of his expected arrival. The tech arrived when he said he would and thoroughly checked my door, making a just a few minor adjustments to ensure the continued smooth operation. My Precision experience was absolutely amazing! Happy with the service we received. Arrived when they said, friendly, and garage door works perfectly now. I will use this company in the future. We are glad that your garage door is working perfectly now. Thank you for the great review. Very impressed with the speed and quality of service. Needed a new opener and called just after noon. Tech came out an hour and a half later and had new unit installed in just over an hour. New keypad, remotes, and button and it works great. Same day service! Quick, professional an Outstanding performance by the technician. Highly recommended and deserves 5 star rating. We had a new double garage door and lift installed. Kevin O’Hara did the installation in a couple hours and did an excellent job. The person I talked to when I scheduled the service call was courteous and knowledgeable. Texts and emails of when the technician would be here were spot on, which was much appreciated. Definitely will recommend this company to everyone. 5 stars for sure. Precision was at our house within an hour of calling. Our garage door came off the tracks. Not only did the repair man fix the door he also found out why it came off the tracks. He removed the simple cause without any hesitation at all. We are glad that everything is up and running smoothly. Thank you for the great review. Our garage door opener wasn’t working. We called in the morning and they came out that afternoon and installed a new one. The young man called when he was on his way and was there within 10 minutes. Very friendly and professional and did a great job. Really appreciate doing business with a company of high quality and great customer service. We are so glad that everything went well for you today! ThNk you for the 5 stars! Great service! Zachary communicated well before and throughout the service call. Service was professional and quick. Very pleased with the results. Good response time and the work was done quickly. Very efficient and timely. Texted ahead with name, number and picture of service tech. Was at my home when expected and finished quickly. Pricing was as expected and reasonable. Will use Precision again if needed. Kevin did a great job. Very efficient in doing his work. He responded promptly to request for installation of new door opener. Very pleased. 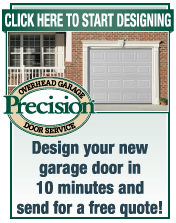 We purchased a new garage door from Precision Door in 2015. He did same professional job then. That's why we called Precision Door again. Great service. 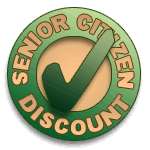 Technician was very professional and knowledgeable. Will recommend and use their services again if needed. Professional company with superior employees. Everything from appointment to notification of arrival, and installation was top notch. I would definitely recommend. Adam was extremely helpful and friendly. Very good service friendly his experience showed would recommend ??? ?